Enjoy a full day exploring the wonders and nature of Mývatn and the whales of Eyjafjord. 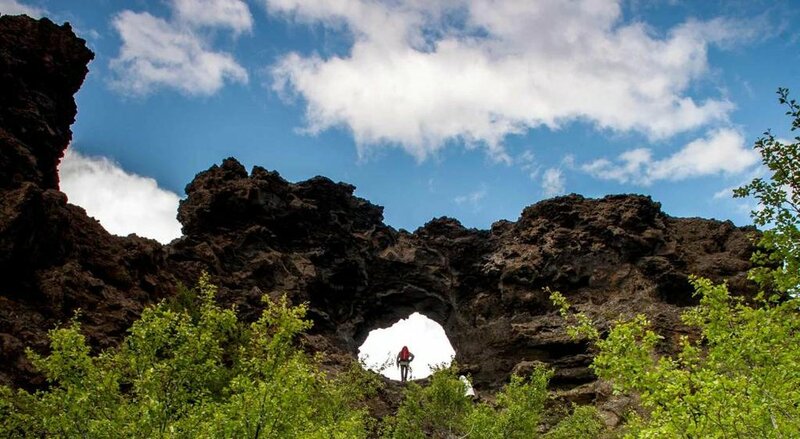 Start the Day with a trip to Lake Mývatn operated by Saga Travel. This tour takes you on an amazing journey through an area of extreme contrasts, bird life, flora, geothermal activity, geology and saga. We begin our day by stopping at Goðafoss Waterfall on our way to Lake Mývatn. Goðafoss is a picturesque waterfall in Skjálfandafljót River. The first stop by Lake Mývatn is at the pseudo-craters of Skútustaðagígar. 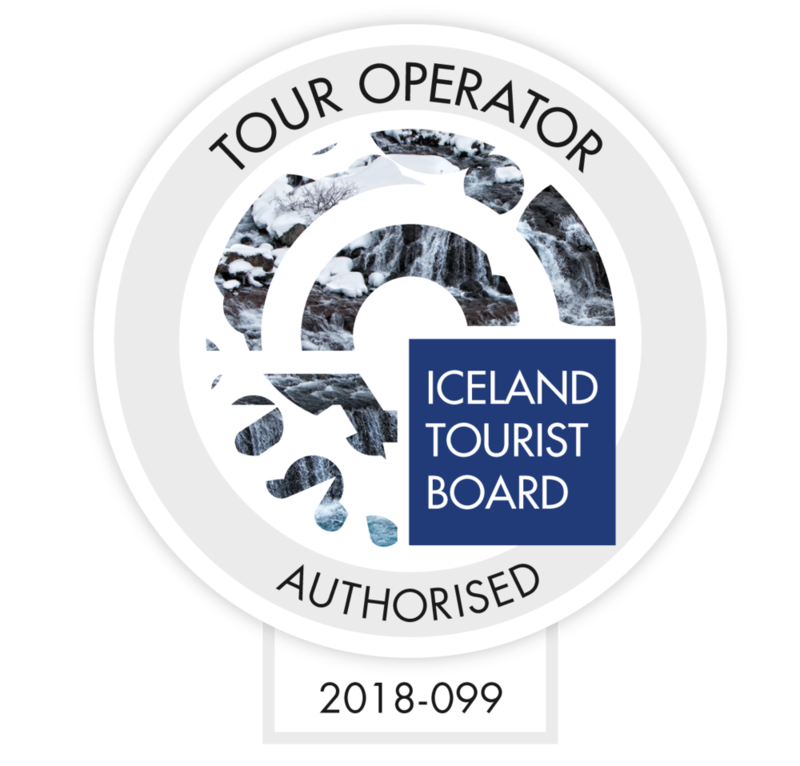 From there we visit all the highlights of the area, such as Hverir Mud Pools, Grjótagjá Rift, Dimmuborgir Lava Fields and many more. 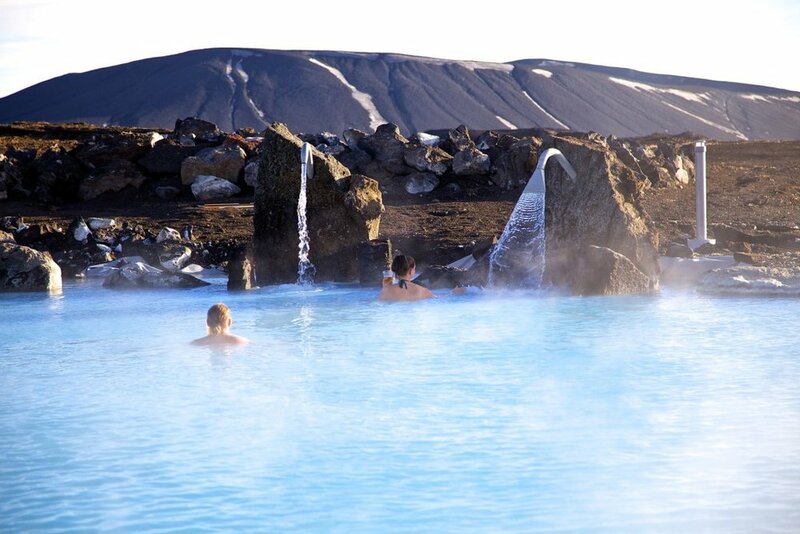 Our last stop by Lake Mývatn before our return to Akureyri is the Mývatn Nature Baths, where we enjoy a relaxing time in completely natural pool of geothermal water based in the middle of lava fields with great view over the area. We then end the tour in the famous Mývatn Nature Baths (admission is NOT included). The Lake Mývatn area is by many considered the most beautiful and at the same time the most catastrophic place in Iceland. After the visit to Lake Mývatn you are dropped off at the Akureyri pier where you embark on the whale watching vessel. Eyjafjord is home to many Humpback whales, that year after year return to the fjord for it's plentiful food. 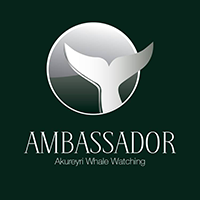 Our newly renovated and specially modified whale watching ship is capable of carrying 200 persons with spectacular views from our “cinema style” viewing platforms. 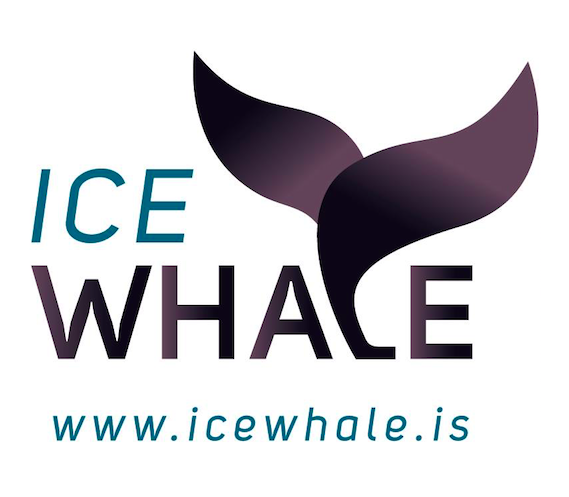 Its speed guarantees availability of whale watching tours from Akureyri, where ever the whales might be located in the deepest fjord in Iceland. With ample indoor and outdoor seating, bar and cafeteria, you can be sure that the ride is comfortable and pleasant, even at speed. Our sighting success of Humpback whales in summer 2016 is 100% and among them there have been reports of Minke whales, Blue Whales and White-beaked dolphins. Please note that due to weather and/or road conditions we might have to alter the itinerary, prolong our journey or cancel the tour all together. In this case we will contact you with as much notice as possible with the information provided to us.